We entered in to collect our luggage from the carousel. The new experience was almost electrifying ... The walls and ceilings in the baggage area did not meet, there was no formality to how our baggage arrived from the plane to the terminal. You literally could hear the vehicle that had transported our bags running just on the other side of the thin concrete wall. The suitcases passed through a small opening with flaps that gave a slight familiarity to traditional airports. Our team still had so much luggage even though we had left several suitcases back in Lima. 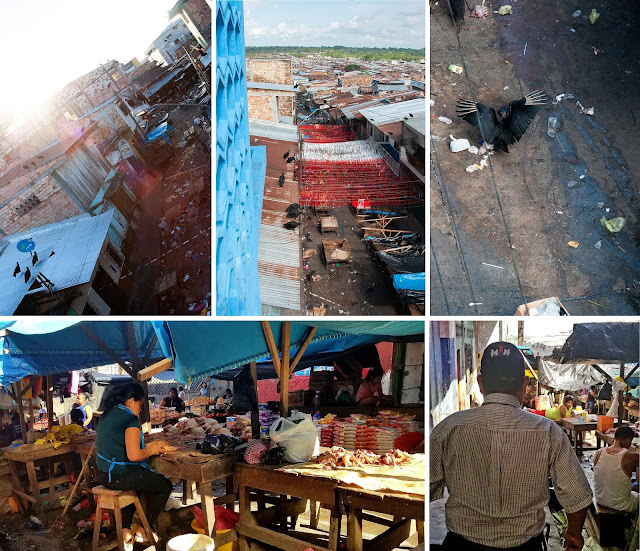 Once our suitcases met the proper baggage count, like counting chickens ... our team passed through the doors to officially enter Iquitos! There were drivers scattered all around eager to pick up passengers. We passed through the crowd and I delighted at the site of passenger cars I had seen in the YouTube videos known as Tuk-Tuks or Rickshaws in other parts of the world. I asked Pastor Adam what they are known as there, and he informed me they are simply called "Moto" or Motokarts. We were greeted by a local Pastor and van, to which I wondered how in the world we would possibly accommodate all our luggage! The Peruvians are very efficient at transporting people and bags! 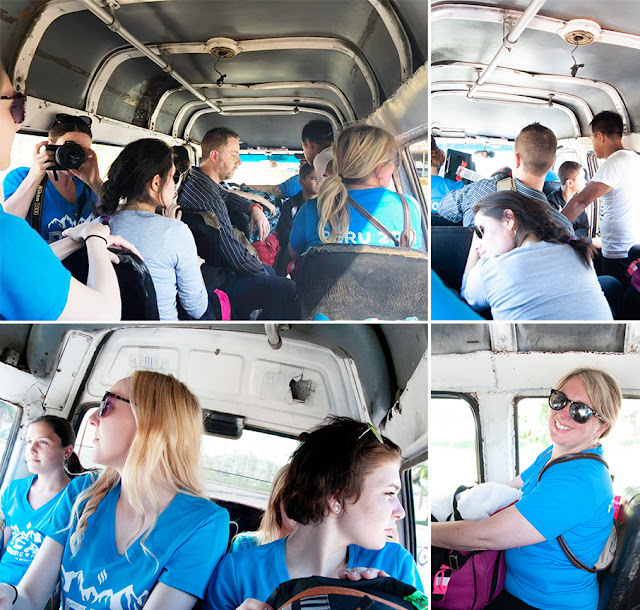 Our team loaded in the van with baggage towering like a mountain above, minus Christina and Andrew who ended up in a moto with Pastor Belisario. The tiny seats made my usually average frame feel like a bit of a giant. I definitely knew I had left the comforts of home for the adventure of a lifetime as I observed the van, sights and sounds while we passed through the unfamiliar landscape to our hotel. Prior to leaving for Peru we had been informed that our two options were either sleeping on the floor of a church or in a hotel with air conditioning. I felt like I needed to justify myself whenever I explained to people that we would be staying in the hotel even though it was supposed to be a "roughing it" Missions trip. (The reasoning behind that decision was that after a day of ministering Pastor felt it would be best to get a good rest to continue the work without wearying.) I'ma just say to all those people who thought we were skimping out ... it wasn't like your local Holiday Inn! 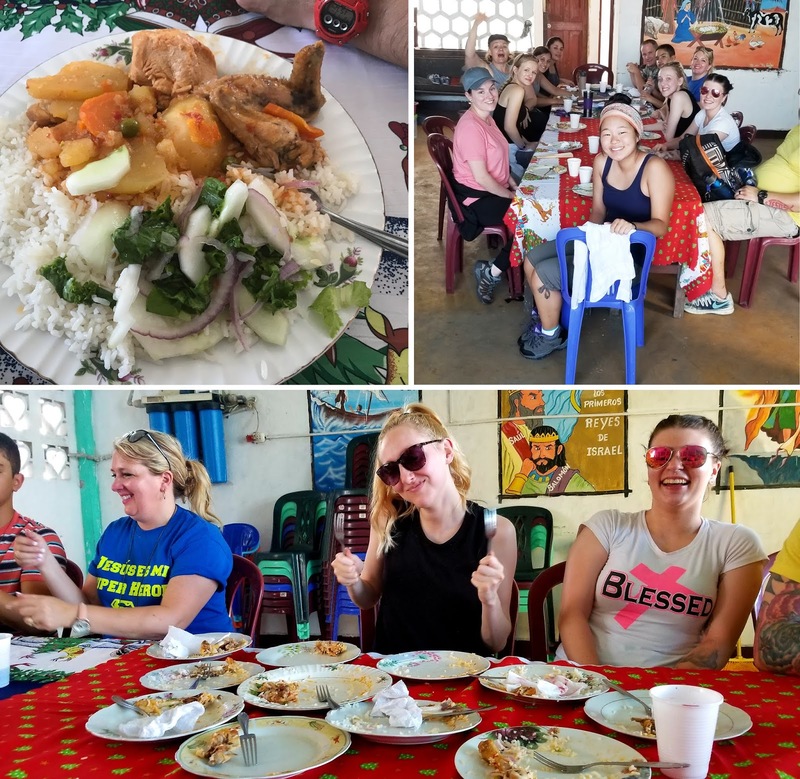 Our team was given a short amount of time to rest up and try to settle in before heading out to lunch and our first ministry opportunity. Some of the team took advantage of the down time by tucking away in to their rooms while others of us decided to refresh by taking a dip in the cool of the welcoming pool. I knew I should probably have laid down instead, but I was afraid if I had that I would have had a hard time getting back up. No sooner had we started settling in that it was time to head off. 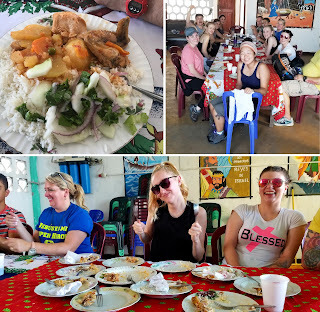 We loaded on to a small bus and took a short ride through the streets of Belen. I couldn't take in the thrill of the sights and sounds enough. I could hardly believe I was there! We were informed that we were being dropped off at a certain point before heading in to the "Red District" and to stay together and keep our phones and cameras put away while we passed through the marketplace. It was a complete shock to my system; the marketplace setting was a far cry from the little bubble I'd been raised and living in! Uneven, compact and filled with trash, the crowded ways we traversed with suitcases filled for ministry felt treacherous. The sight of the market place, with tables of raw cuts of meat piled high, vendors swatting away flies with plastic bags tied to the end of sticks, shooing off stray dogs whose population seemed almost as prominent as people, booths filled with soups, meals, produce or dollar store goods - the smells ... It's simply not something you can fully convey through photos or words. The humidity and heat almost seemed to weigh as heavy as the spirit of the people ... To be entirely honest, I wondered what I had gotten myself in to. I didn't feel prepared or equipped for this and wondered if I had heard God right?! How could He use me from my cozy little life in a place like this? We arrived at a gated set of stairs in the middle of the marketplace where we entered in to our host church. The sanctuary was at the lowest level of the structure. 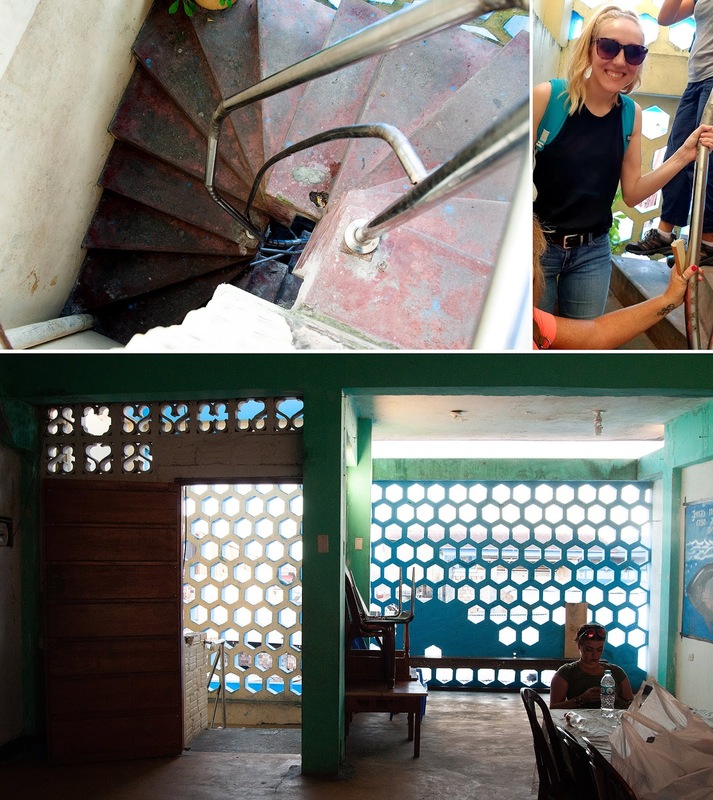 We crept up a flight of narrow, spiral, concrete steps to the second floor, which is the Pastor's home, were our team crammed in to a small living room area lined with couches. The outer wall was merely made from open faced brick. Taylor and I went up an additional flight of stairs to the third floor (and Children's ministry area) to sweep the floors where the ladies were working so graciously to prepare to serve us a meal. As the rest of the team gathered there, we all sat at a long table covered in a myriad of table cloths. (My space was Christmas themed which made me feel right at home 😂) We were served plates filled with rice, boiled chicken, potatoes, and salad. The portion size was overwhelming and I couldn't help but wonder if that was typical, they were wanting to bless us or if we as Americans have that "reputation". It was probably one of my favorite meals during our time there. Perhaps because it was the first or maybe because it was the most salad/vegetables and color I had! After our meal, we sorted out the suitcase of toys to prepare for our first place of ministry then headed back into the crowded streets. I couldn't help but notice as we walked through that there were literally piles of trash everywhere and anywhere. I wondered if they had some form of waste management. Our team attracted attention as we headed down the streets; children followed us, some adults chattered, some smiled... I'm sure all wondered what we were doing there. We walked down to the river bank where we loaded onto the same wooden boats I had seen in pictures that made me nervous. The children grew anxious and came pouring out of the church where they gathered in a circle and greeted us with a song! The men of the church worked expediently to bring the wooden pews out to try and create order. 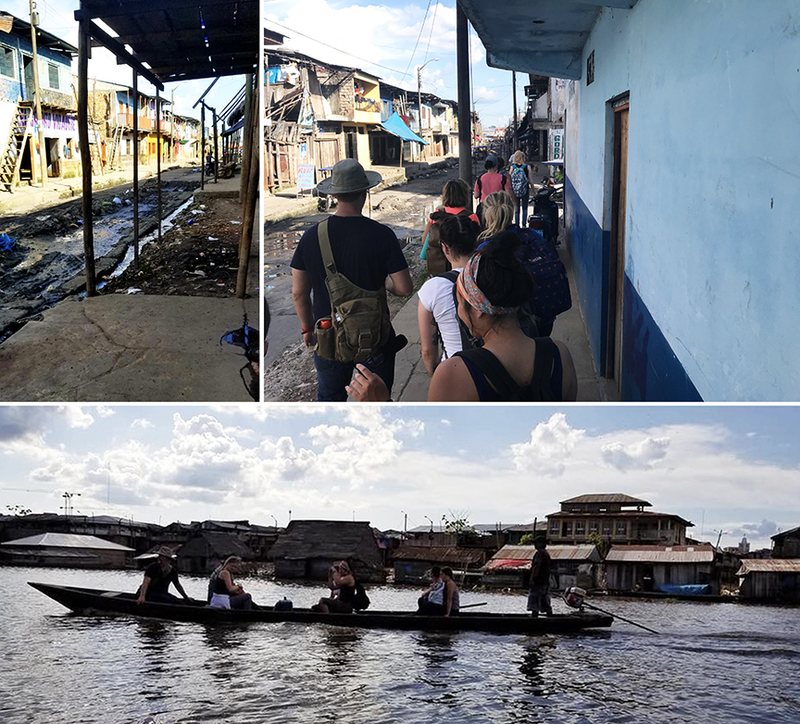 As this was my first missions trip, I immediately began to feel overwhelmed, like I had been thrown in the water to see if I could swim; I didn't know what to do. 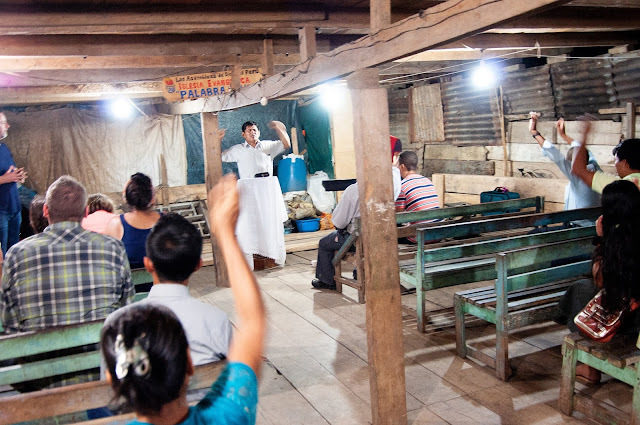 Taylor took the challenge of presenting the children with a lesson on the light of God with Claudia as her translator. I pulled out my camera and immediately began to weep as I worked to capture the amazing experience through tear stained eyes. I was so humbled and raw with emotion. I still am not sure I can fully comprehend what life is like for them as we were only there a few short hours. Following the lesson the children made a small tissue paper torch (light) and played a game with balloon (lights) and water gun "extinguishers". I think the kids had more fun running around with our team and squirting each other. It was so beautiful to see the smiles and hear the laughter. I was in awe at how absolutely wonderful our team was with the children! Such big hearts. I knew coming in to the trip that at some point I'd have to share my testimony, which was not something that was easy for me to define as I felt my story was atypical and perhaps unrelatable. ShaMama had bravely volunteered to share her testimony that first night and it seemed not much after I told her that I would wait until later in the trip to share mine (after I had seen it done a few times and was more comfortable) I had somehow moved my lips to say "I can share mine too." I don't entirely remember what I shared that night, other than that my walk of faith is a walk of relationship, not religion; and that there is nothing we can do to add or take away from the Father's love for us. We cannot earn what has already been given in greatest measure. I tried to encourage them that they are created with purpose, and that God intentionally knit them together and He knows them. I read Psalm 139 in the hopes of sharing that they are worthy and loved, and special. After ShaMama, mine and Christina's testimony, Pastor Adam commissioned the team to pray for the congregation. There was a moment I hesitated as I began to feel inadequate, who was I to pray for them? 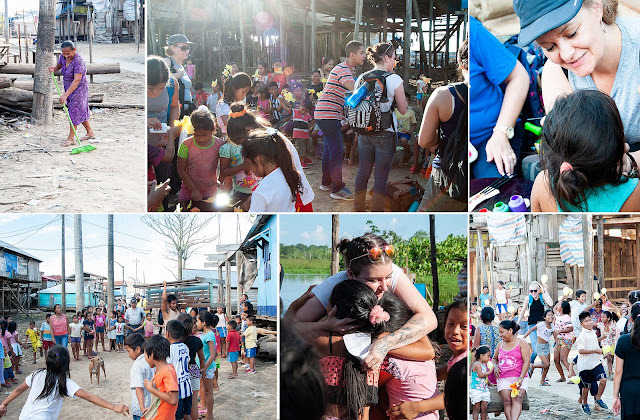 It was in that moment the Lord revealed to my heart that our team was CHOSEN by His hand to travel off the beaten path to show His love to a people who likely feel unseen, unnoticed or maybe even forgotten. We were to them an encouragement of God's love and it was with that revelation that I felt empowered to step into my identity as the Heavenly Father's daughter to intercede and come alongside to pray for my brothers and sisters in the body of Christ. After service, we loaded back into the wooden boats and chugged back across the muddy river in the dark to the "Red Light" district where we passed through the streets alive with music (the people seem to come to life in the cool of the night). We met our bus and were taken back to our hotel. We all (or at east I!) was looking forward to a night of sleep after having only had broken up sleep in the last who knows how many hours! I was excited for a nice warm shower to wash off the sweat after the heat of the day, only to discover warm/hot showers do not exist in the jungle apparently! So a cold trickle of water it was, but I didn't care. I was so tired I climbed into my sheets and slipped off to sleep.